The monthly meeting of the Scotland High School FFA was held on September 23, 2015 at 3:00 PM. Members cooperated with Toxic Free NC and prepared 29 bottles of toxic free household cleaner. 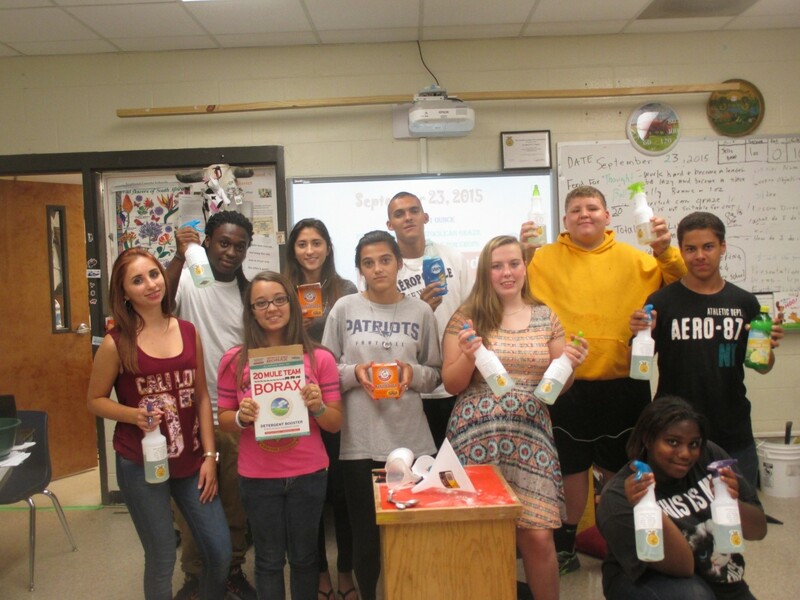 The toxic free household cleaner will be distributed to all CTE teachers. This service project is part of the community service goals of the Scotland High School FFA Chapter.